Congratulations to scrappy youngster Jon Lester, who collected his first career hit tonight off of former Red Sox teammate John Lackey. 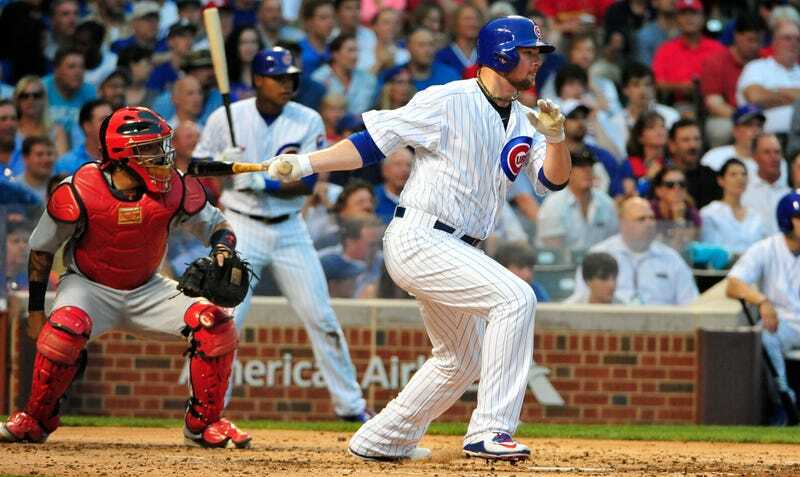 Lester’s hit came in the 67th official regular season at-bat of his career. Earlier this season he set the dubious record for most career plate appearances without a hit. Addison Russell batted next with the bases loaded but struck out, thus depriving Lester of the opportunity to score the first run of his career.